Nairobi Bottlers Ltd commissioned a new juice manufacturing plant in May 2017, as the company expands its products offering to meet new consumer requirements for healthier beverages. 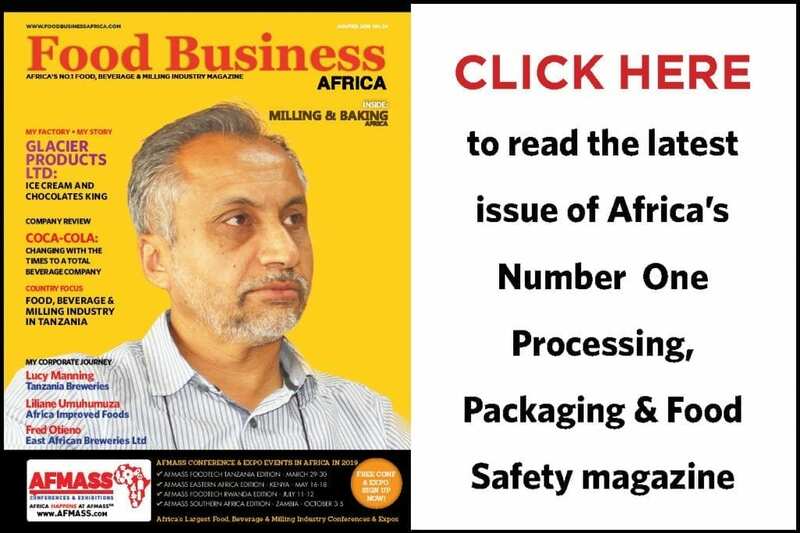 Food Business Africa had a discussion with Duncan Kimani, the Manufacturing Director for Coca-Cola Beverage Africa’s portfolio of companies in Kenya to discuss the importance of this new investment. There is a noticeable excitement at the Nairobi Bottlers factory located at Embakasi near the Jomo Kenyatta International Airport in Nairobi. 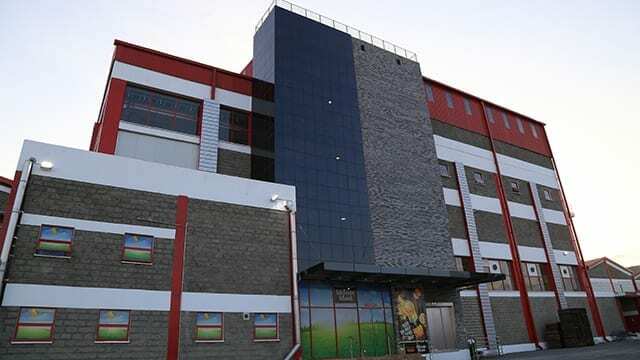 Excitement brought by the new state of the art juice plant, which stares down at the rest of the sprawling facility that is the home to Nairobi Bottlers Ltd – the largest bottling partner of Coca-Cola in Kenya and the region. Part of Coca-Cola Beverages Africa (CCBA), the recently set up bottling behemoth that bottles Coca-Cola beverages including carbonated soft beverages and water across 16 countries in Africa, from South Africa to Ethiopia, Nigeria, Kenya and the Indian Ocean islands, Nairobi Bottlers is a critical cog in the wheel of CCBA – and an important partner as Coca-Cola builds on its strategy to become a total beverage company across the world. CCBA fits into the bigger Coca Cola ambitious goal of investing in Africa some US$17 billion over the years to 2020. No one can explain the importance of this new KSh 3 billion (US$30 million) investment better than Duncan Kimani, the Manufacturing Director of Coca-Cola Beverages Africa. We last had a discussion with Mr. Kimani in early 2016, when he discussed at length the plans of the company to boost its investments in the factory, with the juice plant being one of the priority investments. He was again at hand when Food Business Africa visited the factory in mid October to show us around the new facility, with an air of excitement on his face. “The scope of the project is a juice manufacturing plant. 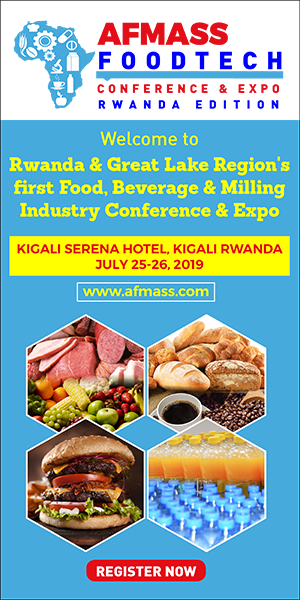 It is a completely stand-alone project involving complete new civil works, new building for both packaging line, processing and raw material storage as well as a state of the art packaging line and processing equipment,” Mr. Kimani informed us. “It is a very exciting time for me because what we have done is we have closed the old juice facility on Likoni road and the adopted new hot filling juice manufacturing technology at this new plant, with numerous advantages to our efficiencies and capabilities. I must also say that this is the first hot fill line in Kenya and the region, for which we are very proud,” he added. According to Mr. Kimani, products made at this facility will serve the greater Eastern Africa markets of Uganda and, with Kenya acting as the hub for some of the specialized products for the region. Mr. Kimani believes that Africa is in a critical growth phase, with Kenya forming the gateway into Eastern Africa and sub-Saharan Africa as a whole. The growing middle class has seen customers begin to ask for diverse range of products, which from the CCBA perspective is actually Coca-Cola’s area of strength, considering that the largest beverage producer in the world has over 3000 brands in its portfolio around the World. CCBA has been adding extra capacity in a number of its African operations to meet this rising demand, while innovating at the same time, ahead of the curve. 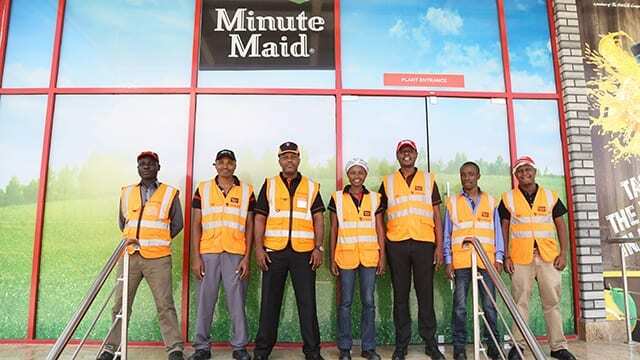 The new plant at Nairobi Bottlers fits into the investment focus, while the newly reformulated Minute Maid juice brands add to the product diversification strategy. The new plant currently produces four variants of Minute Maid Juice, namely Minute Maid Pulpy Orange, Minute Maid Mango, Minute Maid Tropical and Minute Maid Apple. Mr. Kimani says that Minute Maid Pulpy Orange is the lead flavor in the reformulated Minute Maid Juice range, with a unique addition of orange pulp, giving consumers the opportunity to get as close to nature as possible. The variants are currently available in 400 ml and 1 litre plastic bottle packaging. “Our long-term strategy is to focus on juice and what I would call alternative beverages in these new segments where consumers are asking for more nutritive sort of range of products. We have positioned ourselves for health and wellness type of products, and that is the focus for the new facility. The main carbonated beverages and water factory will continue to provide the favorite Coca-Cola, Fanta, Stoney, Krest and Sprite brands. However, for this new plant there is a 10-year strategy in regards to innovation on alternative beverages that provide nutrition. 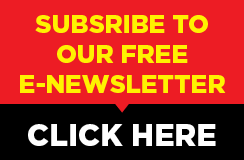 You will see very different categories coming through this facility because a lot of people know we have over 3000 products as the Coca-Cola Company globally. The focus will now be to pull some of those into the Kenyan market. This is just phase one. We have space for moving into Tetra packaging of juice and other products soon. We also have space to move into bulk juice segment, as well. The space is really going to innovate based on consumer requirements and based on the research we have done,” Mr. Kimani revealed, with the project taking up to 6 phases, up to 2020. The imposing 3-floor plant looks deceptively small from outside, despite the fact it is the tallest building in its vicinity, and is hard not to notice by anyone driving on the busy Eastern Bypass road that connects JKIA with the northern parts of Nairobi. Setting foot inside the plant, one comes face to face with shining, complicated equipment that exude a sense of massive investment in the latest technology, and that’s when the size and scale of the investment hits home. “The design of the building took into consideration a number of issues, especially considering the fact that we had limited space to build the new plant. By having three floors, we managed to create enough room to put up the plant in a fairly restricted space, which is a big positive for us. The layout was designed to deliver optimized flow of raw materials and processing, right through to the finished juice product. Further, with a vertical building, we are able to transfer some material by gravity, with significant savings on energy,” explained Staneu Muriuki, the Manufacturing Manager, Juice Plant. The plant hosts a Visitor Centre that overlooks the production floor, where stakeholders, including school children, are given the opportunity to interact with the company’s staff on a regular basis. A closed platform runs from the Visitor Centre, hanging above the production floors, right across the factory, giving the visitors a clear view and experience of the goings-on at floor below. The plant has adequate storage for raw materials and packaging that are ready for the production process on its upper floors. With the ground floor of the plant hosting the packaging equipment and processing, the juice preparation starts on the first floor, where the Cold Storage Room, Simple Syrup Room and Juice Processing Room are located. Here, the juice is blended 10%-14% content depending on the flavor, according to the specifications of the Coca-Cola Company. The blended solution is then transferred into three 35,000-litre final beverage tanks awaiting further processing and packaging. For the Minute Maid Pulpy Orange blend, two process streams are used in order to ensure delicate handling of pulp and avoid maceration of fruit pieces. The entire process is carried out in the highest sanitary standards to protect the preservative free product from any possible microbial contamination. The final processing before packaging is pasteurization, where the product undergoes heat treatment, followed by packaging at a rate of 40,000 bottles per hour. The plant has invested in an integrated blower-filling block which further reduces the risk of microbial contamination. 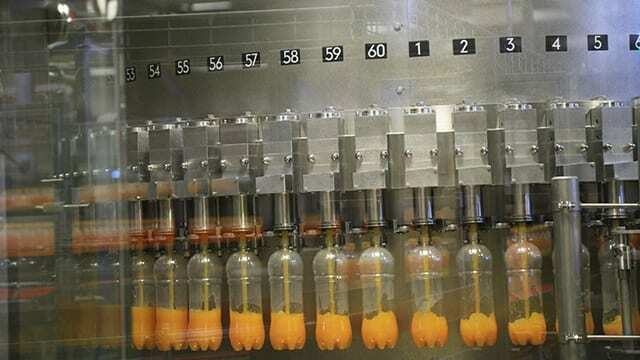 For Minute Maid Pulpy Orange and fruit pieces processing, a smaller filling machine, doses the pulpy orange blend into the bottle, after which the partially filled bottle moves into the main filling machine for the incorporation of the regular orange juice blend. Mr. Kimani is proud of the new hot filling technology that has been used at the new plant and believes that it will be a game changer at the company and in the region. “At this plant we have gone with a state of the art line from a German company. What this line does is highly automated and is a much newer technology. We have taken the latest technology in juice manufacturing and brought that to Kenya. The strategy is to have a line that is more advanced, a superior technology so that we can automate the process, make it seamless, minimize human interactions on the whole process of the juice manufacturing to ensure that we have a high-quality product at the end of the process,” Mr. Kimani said. “The hot fill process is key for us, especially as consumers seek healthier, nutritious products. With this technology we are able to produce juice and other products without the need for chemical preservatives. The Hotfill process also offers improved shelf-life of 6-months on the preservative free products. This opens up opportunity for introduction of more sensitive and rich products into the Kenyan market,” Mr. Muriuki elaborated. The company’s decision to procure the hot filling process over the other alternative, aseptic packaging, was also due to the lower costs of capital investment and running costs. According to Mr. Kimani, the new technology also delivers on reduced energy and water consumption by the plant, a key metric for the company’s goal to reduce its environmental impact. According to the Manufacturing Director, from an innovations point of view, 2017 has been a very aggressive year for the company. The newly reformulated Minute Maid juice brands have a 25% reduction of sugar in their formulations to address some of the consumer health concerns. Further, the new brands have achieved either a total elimination or significant reduction in added preservatives, meeting consumer requirements to eat or drink food products with no preservatives. “The Minute Maid Apple variant is free from preservatives. And by the next six months we are also working on removing some of the small traces of preservatives we have on the other variants. Even though we have very small traces, we are calling it out, since it is a legal requirement. That is something we pride ourselves in,” Mr. Kimani says. The company has also recently introduced two variants of sweetened, flavoured water beverages available in lime and strawberry flavors for consumers “wanting refreshments and hydration at the same time,” reveals Mr. Kimani. “It is very difficult when doctors tell you that you need to drink two litres of water every day. But now we are making easier for our consumers who actually have highlighted flavoured beverages as an opportunity they would want to consume. Globally we have very strong flavoured water but not in this market,” he explained. Further, the company recently launched a reformulated version of the sugar free Coca-Cola Zero Sugar, at the same time that Coca-Cola was launching the brand around the World. According to Mr. Kimani, the new Coca-Cola Zero Sugar, which has replaced the former Coca-Cola Zero has a well-rounded taste profile and a more original Coca-Cola taste with no after taste. To add to the changing consumer needs, the 400 ml pack of Minute Maid juice brands that has been introduced by the company enables the consumer to consume the product in one seating, meeting the consumer’s nutrition needs at one go. Mr. Kimani reiterates that the impact of the project both to the economy and the company cannot be overestimated. Apart from the economy benefiting directly from the KSh. 3 billion (US$ 30 million) project, local civil mechanical and electrical engineering contractors and consulting engineers were hired to execute the project, adding to its overall impact on the economy. The company has also hired 25 new technical operators and other personnel for the juice factory. He reveals that the investment, upon completion, could go way up to KSh. 5 billion (US$ 50 million). 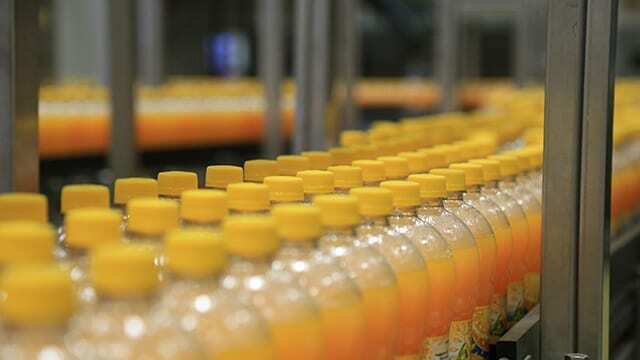 With the completion of the formation of CCBA this year, the company has already delivered on some of its stated goals to leveraging its scale to serve the growing market for beverages in Africa – and the juice plant is just one of the examples. In Kenya, CCBA has operations at Nairobi Bottlers and two other beverage producers: Crown Beverages, the producers of Keringet brand of mineral water and Equator Bottlers, which was acquired by CCBA in July 2017. According to Mr. Kimani, the combined group will continue to use its capability to boost the skills of its employees, utilizing existing skill sets to boost the entire group in Kenya and the region. For example, the Technical Training Centre, which was opened in 2016 and is located at Nairobi Bottlers Ltd will be used that to train team members from the other facilities. “The goal is to evolve into what we call manufacturing specialization. In this regard, we are looking at the different businesses and will choose the business segments that perform well in specific kinds of environment and then leverage on their capabilities. We shall also synergize a number of functions, including procurement, finance and sales and marketing functions to deliver value to the business. These synergies will also provide more choice to our consumers and customers, beside providing more value to them,” he concludes.